In 2011, the City of Chicago made a bold move. The Chicago Department of Public Health (CDPH) released a 5-year public health agenda, known as Healthy Chicago, to make the city a healthier and safer place to live, work, and play. But Healthy Chicago was more than a plan for the public health department. It called on diverse partners from across the city—government agencies, community-based organizations, private businesses, among others—to help give every Chicagoan a fair shot at a long and healthy life. Healthy Chicago, and the people and groups that rallied around it, moved the city toward a new approach to improving government, environments, and health outcomes. The result was Health in All Policies. CDPH convened an interagency council to begin implementing Healthy Chicago’s 193 strategies, spanning 12 priority areas, including healthy homes, tobacco use, and obesity prevention. This collaboration—between the planning department, the transportation department, schools, and many others—shed light on how many city issues, policies, and departments affected one another. To achieve a healthy community, every part of government has a role to play. Agencies have to work together to improve the social determinants of health, which are the conditions in which people live, work, and play. That’s the idea behind Health in All Policies: to adopt a collaborative, all-in approach to policymaking and improve the health of a community. By 2013, the city had made significant progress toward the Healthy Chicago goals. And by March 2016, it had developed its current plan to sustain that progress. The new 4-year plan, Healthy Chicago 2.0, explicitly highlighted the city’s commitment to Health in All Policies. Using a health equity lens, the plan focused on how tackling the social determinants of health would create not only a healthier, safer Chicago, but a Chicago that is more just and inclusive. 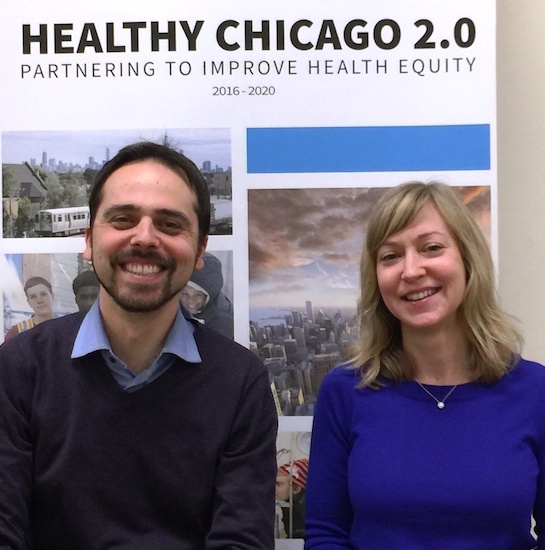 Healthy Chicago 2.0 required the whole city to work together. To formalize this collaboration, Chicago needed a policy to bring city agencies together and put health and equity at the center of all policymaking. “We wanted to institutionalize our Health in All Policies approach. Mayor Emanuel introduced a city council resolution, which seemed like the best way for Chicago to take the next step in this process,” said Lava. In May 2016, with Mayor Emanuel’s support, the Chicago City Council passed the “Health in All” Resolution. It established a Health in All Policies Task Force and made official the city’s new collaborative, comprehensive approach to improving health. The resolution focused on the systemic barriers keeping Chicago families from being healthy, such as lack of access to safe, affordable housing and grocery stores. And it emphasized the profound health inequities at play in the city, highlighting how African American and Latino Chicagoans have fewer opportunities to be healthy and often worse health outcomes than their white counterparts. Since its creation, the task force has helped the city consider the consequences of existing policies, identify opportunities to effect meaningful change, and envision a healthier, more equitable future for all Chicago residents. 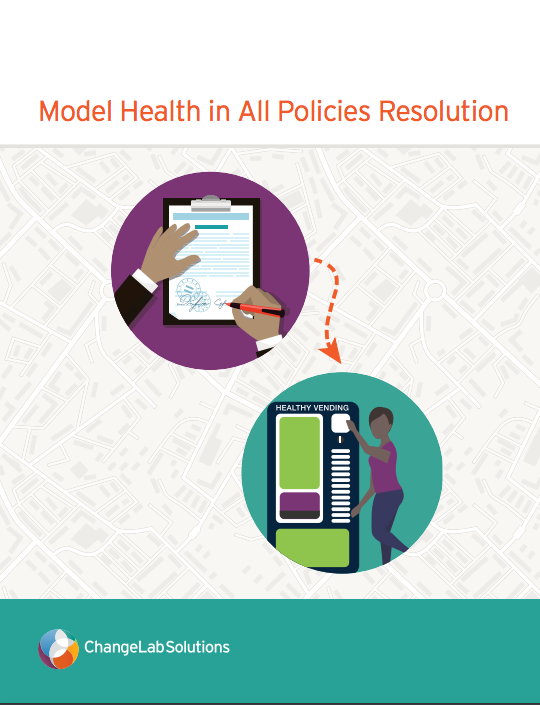 The task force is now preparing a report to submit to the city council; the report will offer recommendations for applying a Health in All Policies framework to the work of Chicago’s governmental departments and sister agencies.